While solid-state drives (SSDs) are often similar to mechanical Hard Disk Drives (HDDs) in physical dimensions (e.g. height, width and length) and external interface (e.g. SATA or SAS interface), the internal low-level operation and components of an SSD differ vastly from the spinning magnetic platter design of an HDD. After an SSD is assembled, the SSD manufacturer can reserve an additional percentage of the total drive capacity for Over-Provisioning (OP) during firmware programming. Over-provisioning improves performance and often increases the endurance of the SSD, helping the drive last longer due to the SSD Controller having more Flash NAND storage available to alleviate NAND Flash wear over its useful life. To calculate the over-provisioned (OP) percentage of an SSD, the formula in Figure 1 can be used. Figure 1. Over-provisioning percentage formula. 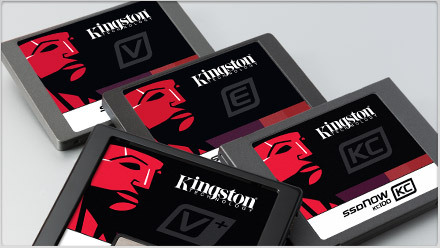 It is common to see 7 per cent overprovisioning present in many SSDs. See Figure 2 for a breakdown of physical capacity present in an SSD versus available user capacity after overprovisioning. Applications can be read intensive, such as typical client workloads where a user will generally do 20% writes to 80% reads. Enterprise applications using a storage device for read caching will be read intensive; if these applications write more data to a storage device, then they would be more write-intensive. The OP capacity set by the SSD manufacturer can vary in size, depending on the application class of the SSD and the total NAND Flash memory capacity. Larger capacity and different application class drives are typically configured with proportionally bigger over-provisioning due to the resource requirements in managing more NAND Flash with the use of garbage collection, spare blocks and enhanced data protection features. This OP capacity is non-user accessible and invisible to the host operating system. It is strictly reserved for the SSD controller’s use.